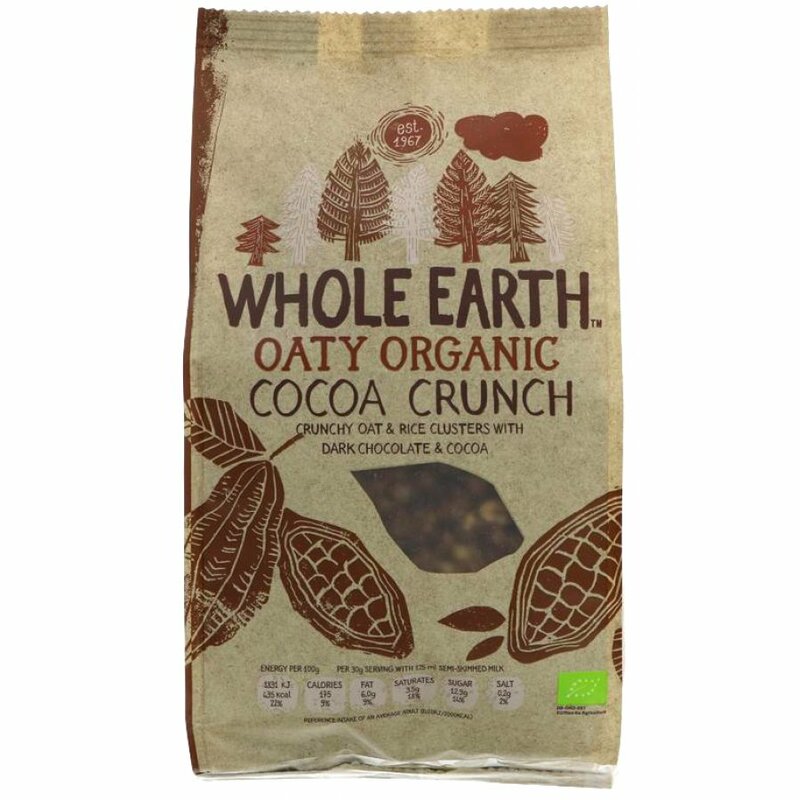 The Whole Earth Organic Cocoa Crunch - 375g product ethics are indicated below. To learn more about these product ethics and to see related products, follow the links below. 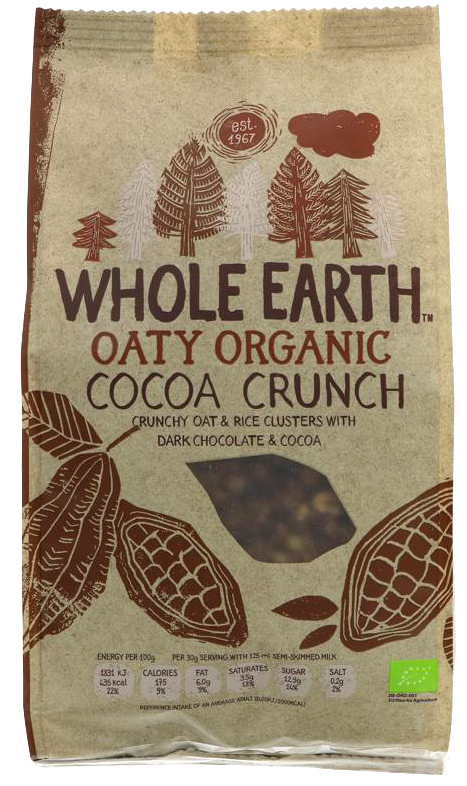 breakfast cereal - gluten free clusters with lots of real chocolate. Extremely popular with children of any age, from very young to 99. One of those miracle health-foods that doesn't necessarily taste like rabbit food and is delicious eaten as a treat even out of the bag on its own. Q: Is the packaging biodegradable or recyclable?